Let SmartDesk remind you of important tasks, meetings and events. Manage all your important tasks, meetings and events in a fully integrated calendar. Manage individual contacts or by organiztion and create links between the two. Associate documents with your list of contacts. Track visitors in real-time that self identify their readiness to buy. Segment your contacts into different groups for easy associations or for marketing activities. Your customer service reps or sales teams can quickly add new contacts while at the office or from their mobile device. Use our advanced filters to segment your contacts by attributes quickly and easily. Easily create an area to give your members access to subscriber specific content. Let SmartDesk help you manage a private members area for your customers. 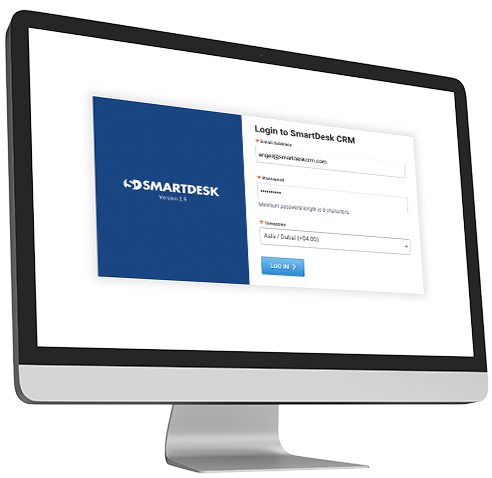 Whether you want to convert existing contacts to a private loyalty program or if you want your customers to sign-up online, the possibilities are endless when you have SmartDesk as your multi-channel marketing hub. 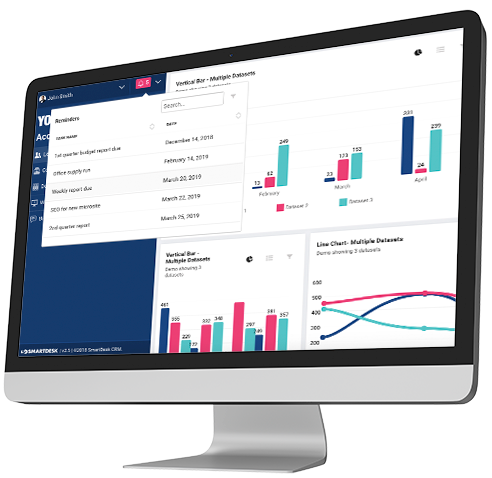 CRM and so much more, simplified.